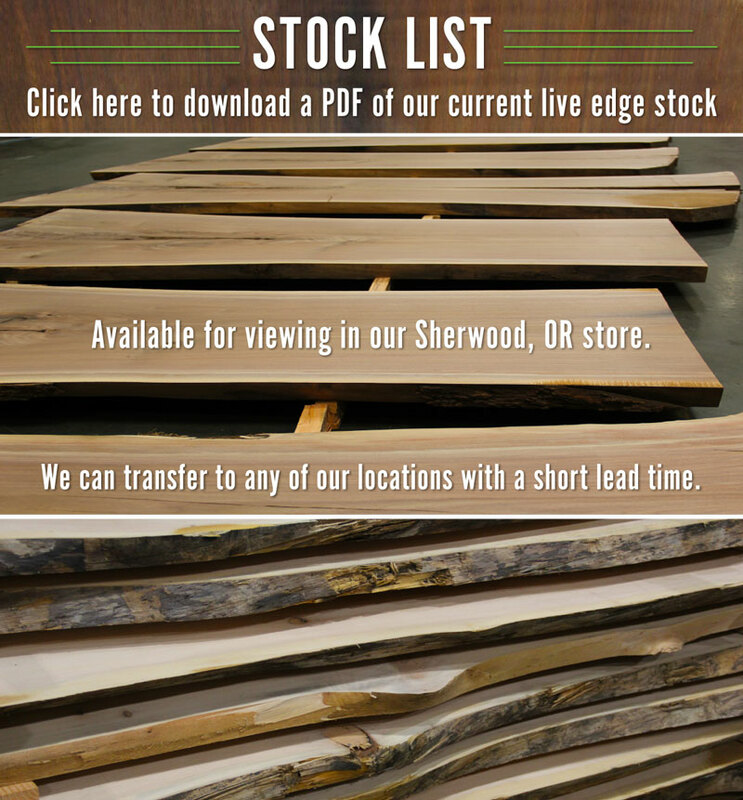 Hardwood Industries | Live Edge Slabs. Live Edge Slabs are Now Available! This look has become increasingly popular due to the warmth, character, and elegance associated with each individual slab. Each live edge slab is unique and ready to be transformed into a custom table, countertop, bench, or mantel adding a remarkable look to any room. 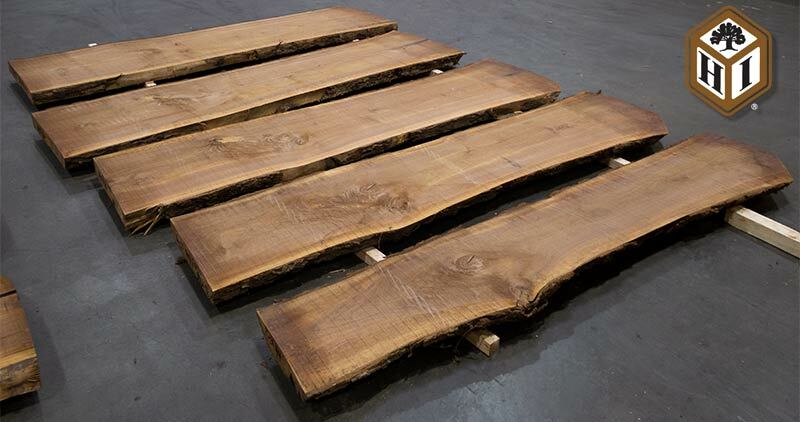 Each live edge slab is kiln dried to 6-8% and sourced from the Midwest. Available for viewing in our Sherwood, OR facility. Can be transferred to any of our locations with a short lead time. Sanding Options: Save time and have us sand your slab for you! Your slabs will be sanded down to specified thickness and packaged for pick-up. Sanded to 1" - $80 per slab. Sanded to 2-1/4" - $80 per slab. Sanded to 2" - $100 per slab.